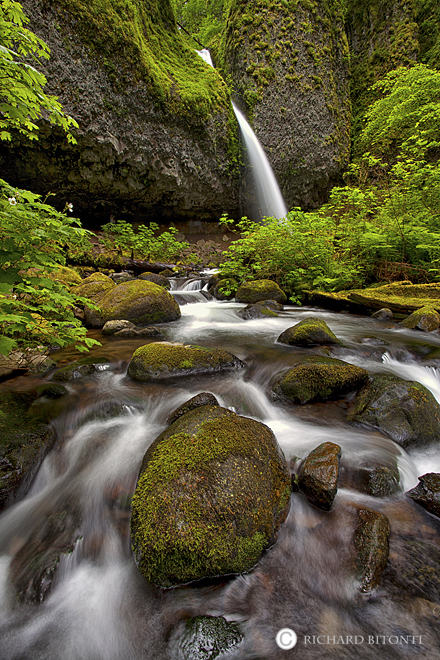 Horsetail Creek is shot through a small chute in the rocks creating a waterfall aptly named Ponytail Falls. This waterfall is up stream from her sister waterfall, Horsetail Falls, and sits within a steep canyon in the Columbia River Gorge. Photo © copyright by Richard Bitonti.